Santa Rosa police are investigating a Saturday night hit-and-run crash that left an elderly woman in serious condition. 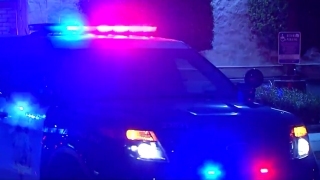 The 84-year-old victim is suffering from a fractures in her spine, multiple lacerations and head injuries after a car struck her at approximately 8:30 p.m. near 1550 Pacific Avenue in Santa Rosa, police said. The driver immediately fled the scene without offering to help, but good Samaritans rushed to the victim's aid before authorities transferred her to the hospital, police said. Eyewitnesses described the suspected vehicle as being a white sedan, similar to a Toyota Corolla, with possibly four doors, police said. That vehicle is also believed to be a model released in the late 1990s or early 2000s. Anyone with information is asked to contact Santa Rosa Police Officer Josh Kertianis at 707-543-3636.